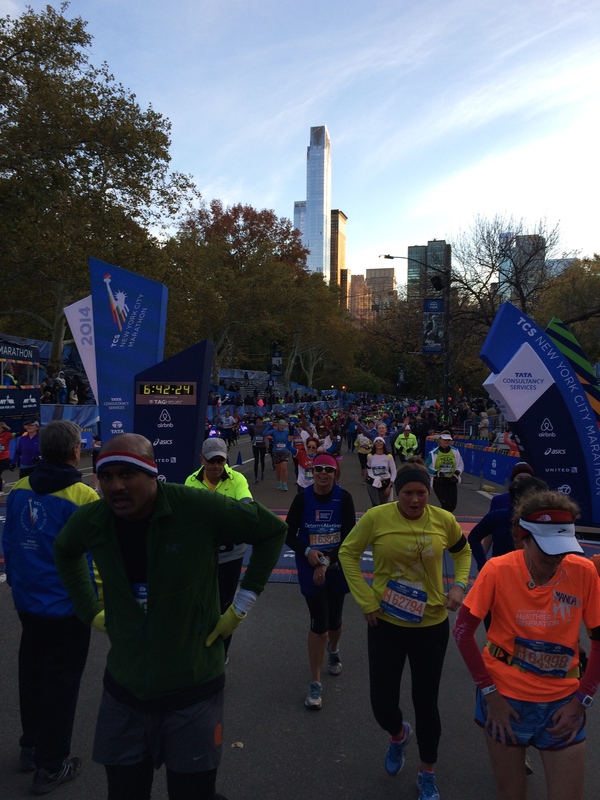 I guess I could try and describe November 2nd, 2014 to you – the day I ran the TCS NYC marathon. My first marathon, and my only. I could go through the play-by-play of the morning getting to the start and describe the emotions running through me as I ran through this great city. But telling you wouldn’t really do the experience justice. You would have had to have been there, experience it, and bask in the enormity of this life-changing event. 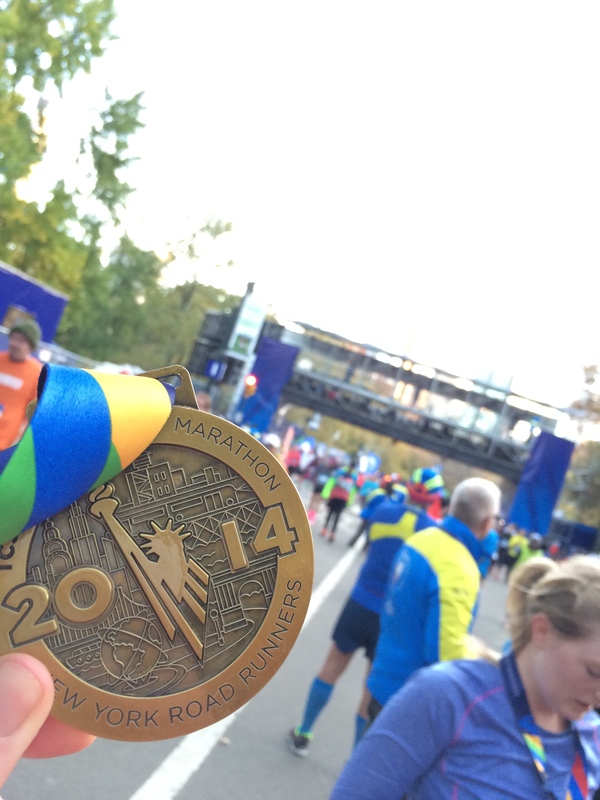 Training for and running this marathon taught me a lot about myself and what I can do, including how to deal with struggles along the way. I remember telling someone in a little over a year ago that I would never run a marathon. 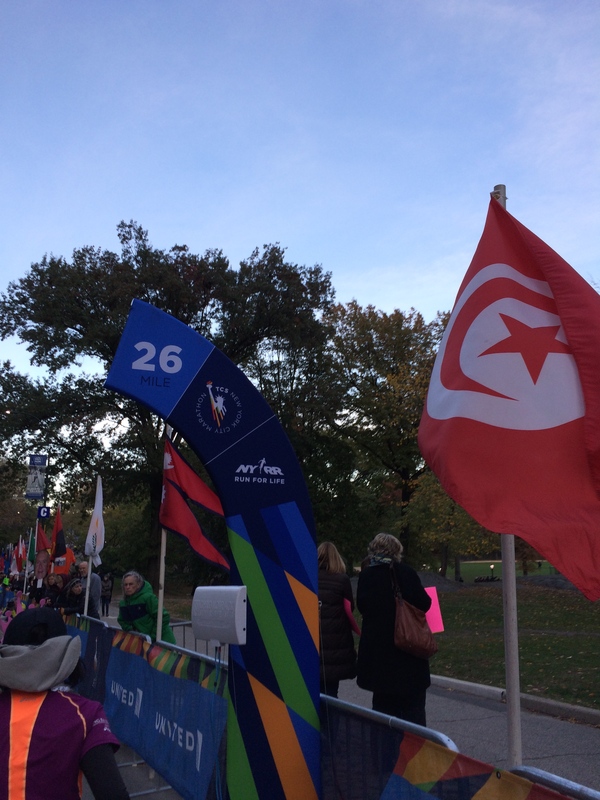 That running a marathon was crazy. But today, I can say I have done it. I know it’s cliche to say – but never say never. You’d be surprised what you can do, and the incredible sense of accomplishment that comes with it, especially when you think you can’t. And taking so many people on the ride with you is another accomplishment in itself. Take a chance and do something you never thought you would, or could do. You will be amazed at the adventure it takes you on. Total exhilaration at 26 miles, just 0.2 to go! The most precious medal I have earned. 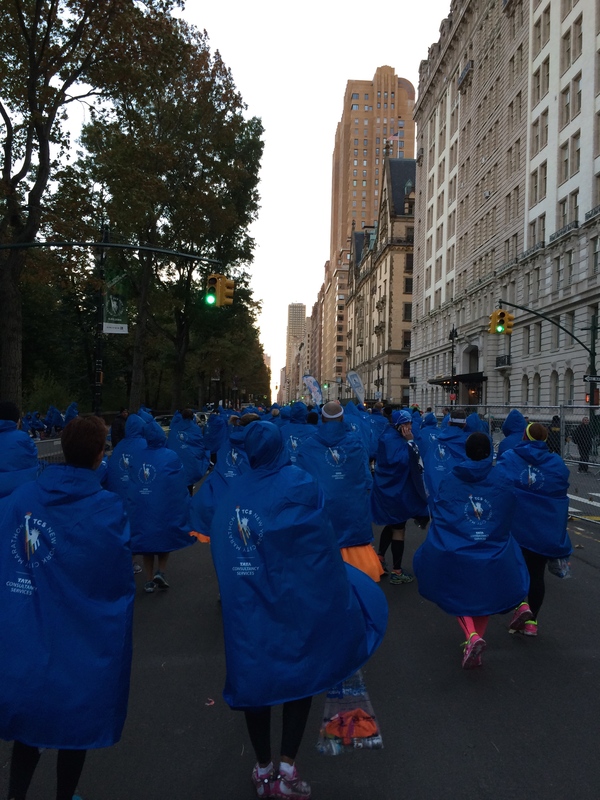 A sea of blue capes to stay warm at the end. Thanks! It was unlike anything I’ve done!